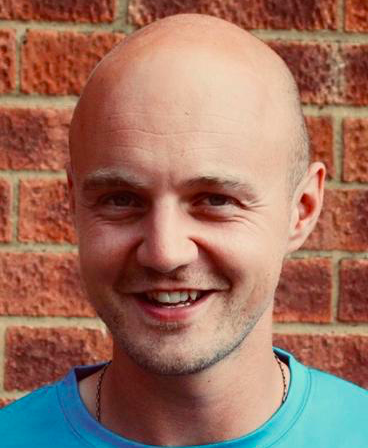 Everyball Tennis would like to warmly welcome Tom Edis to the coaching team at Halton. He will be starting his new post with us in January 2019. I'm Bucks born and bred, having lived and played tennis in the county all my life (save for a 3 year stint at university), although I've lived in Berkhamsted, and more recently Tring in the last few years. I attended junior county training sessions and competed at Halton many times as a young player, and have continued to visit many time since as a coach. I've been qualified since 2001, and coaching full time since 2004 - specifically at Chesham 1879, where I helped form Challenge Tennis in 2012: a coaching provider that now works at 4 other tennis clubs/venues in the region. I've been a Bucks County team captain since 2009, working firstly with the 9u's and 10u's, and from 2017 the girls 10u's and 12u's. It's been a privilege to be on court with some of the best junior players Bucks has had to offer, and I also have great experience with players ranging from tots to regional-level mini tennis players, 'rusty rackets' to adult club team members. I am married to Jess and my little girl Mila will l have her first birthday in January. Hobby-wise, I support Arsenal and I also enjoy city breaks, walking and spicy food (though not all at the same time!). Tom is an LTA level 4 Club Coach and also gained his RPT qualification at Sanchez-Casal Academy in Barcelona in 2013. Tom will be using his extensive experience across all areas of our programme at Everyball Tennis, (Halton Tennis Centre) and no doubt will prove to be a real asset to our team. Welcome Tom, looking forward to seeing you more next year. What an asset for the Everyball Team!